The long-awaited BeltLine Eastside Trail will be officially dedicated in an October 15 ceremony recognizing the generous donors who made the trail possible. 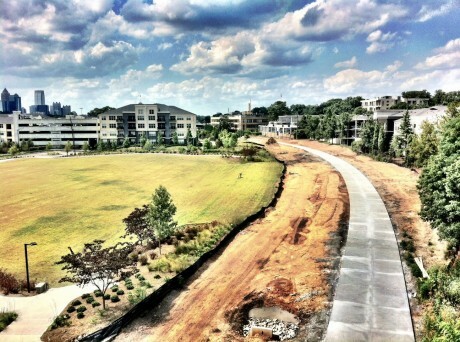 The ceremony will take place on the Atlanta BeltLine Eastside Trail next to the Historic Fourth Ward skate park (830 Willoughby Ln., Atlanta, 30312). Parking locations are TBD. Organizers are encouraging attendees to walk or bike to the event. Click here for more information as it becomes available. 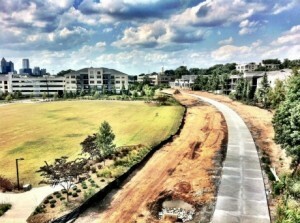 This entry was posted in news and tagged 2012, beltline, cycling, parks by John Becker. Bookmark the permalink.